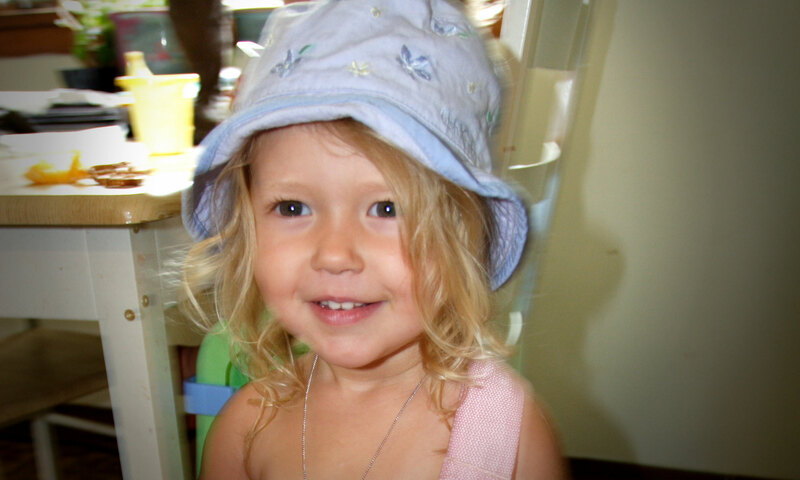 Josie Greenwood is our sweet little girl who died of Acute Lymphocytic Leukemia the day after Easter 2007 at the age of three. 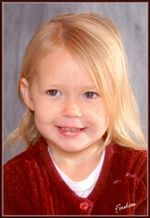 Josie was born July 18, 2003, in Grand Forks, North Dakota, the daughter of Nancy Marie Vasichek Greenwood and Joseph Edward Greenwood. She attended preschool at Saint Mary’s Project Kids and continues to be an original firestorm of pure love and inspiration to an awesome number of people who hear of her beautiful life. Josie loved to dance and sing, put on make-up and ride bike with her sisters, play lovingly with her many young friends around home and at school, wrestle her dad (“Um, Joey, excuse me my good man..”), snuggle with her warm mommy, visit her grandparents to feed the horses on the farm or to watch football games with her extended family of dear fans. Josie has two sisters, Jordyn Seanna Thomas and Averi Rose Greenwood, and a brother whom she only had but a few moments to dream of, Noah Joseph Greenwood. Josie continues to be sorely and forever missed. May she be kept forever near God, and may we always find her there, and gloriously meet her there, all of us. As you will see by the following links, Josie’s life and spirit remain a powerful inspiration to those who hear her story. Just wanted to encourage you in your efforts to help others in the wake of your own personal tradgedy. I am an oncology nurse and a volunteer for the Leukemia Lymphoma Society. I am also married to a professional guitar player, so while I would have wanted to participate anyway, this is a perfect fundraiser for me. The other thing that makes me feel connected in some sort of ” it’s a small world way” is North Dakota. Although I do not know anyone in that state, my daughter spent four summers out there working with the Lakota tribe. I am so happy I found your website, I will be praying for a very successful fundraiser.